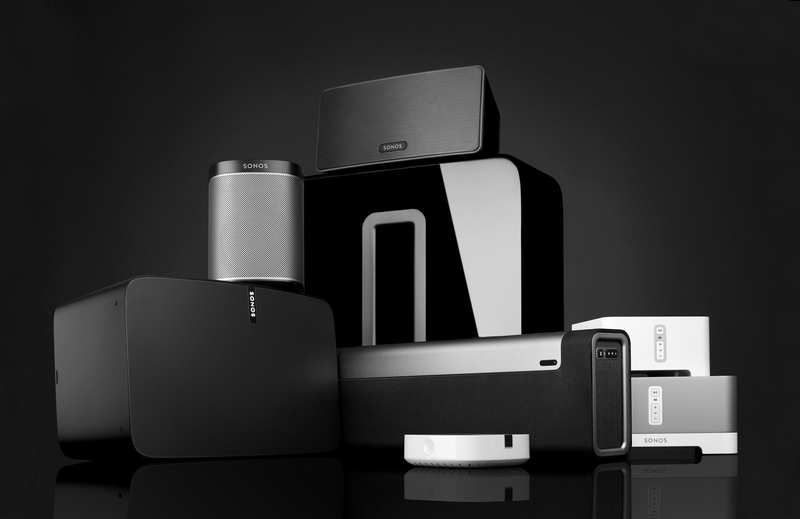 When I first discovered the Sonos system last year, I couldn’t believe what I had been missing out on. All it takes is a few speakers to get high-quality music, from any service, in each room of your house. Sonos is taking the wraps off its all-new Play:5 speaker today, which is the first time the largest speaker in the company’s lineup has been updated. Earlier this month, Sonos showed off the new hardware in an Amsterdam apartment and I was blown away by the improvements its made in its latest speaker. 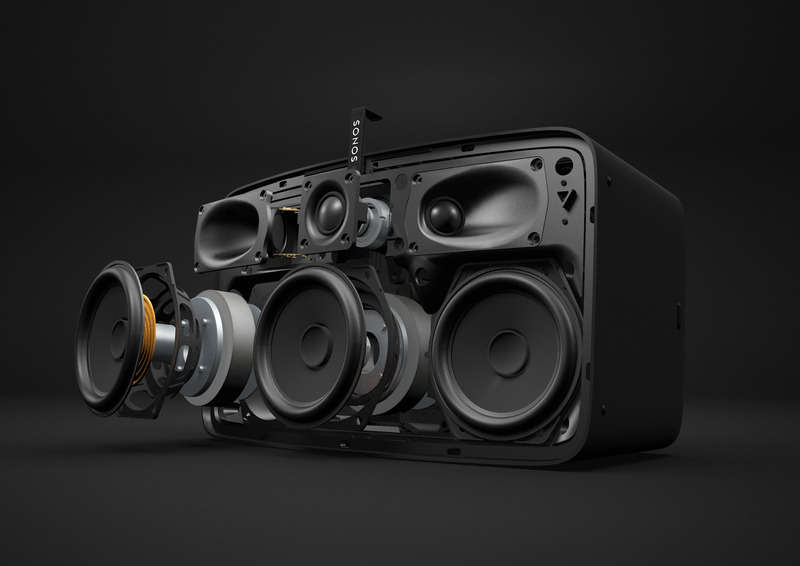 The new Play:5 features six drivers, three mid-woofers and three tweeters packed into a sleek new design that makes the old speaker appear dated. 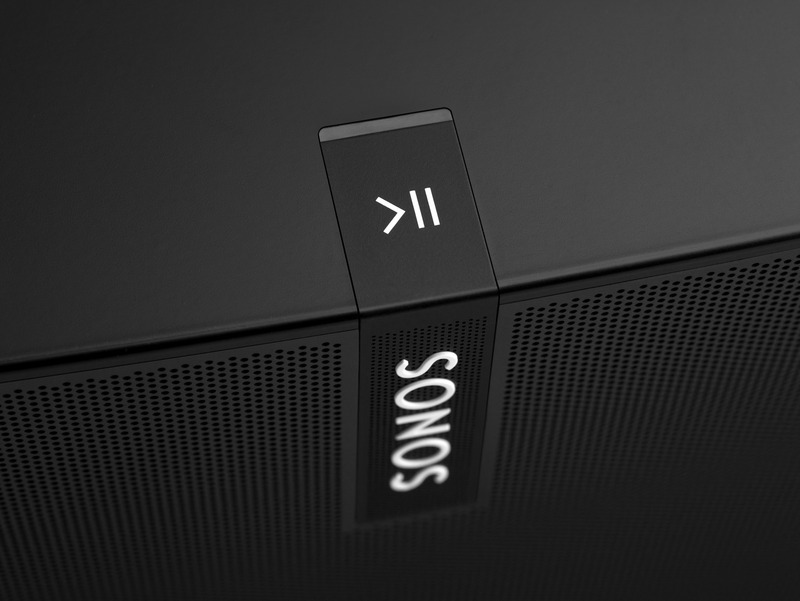 Instead of the physical volume controls on top, Sonos opted for capacitive touch buttons that are much easier to press. 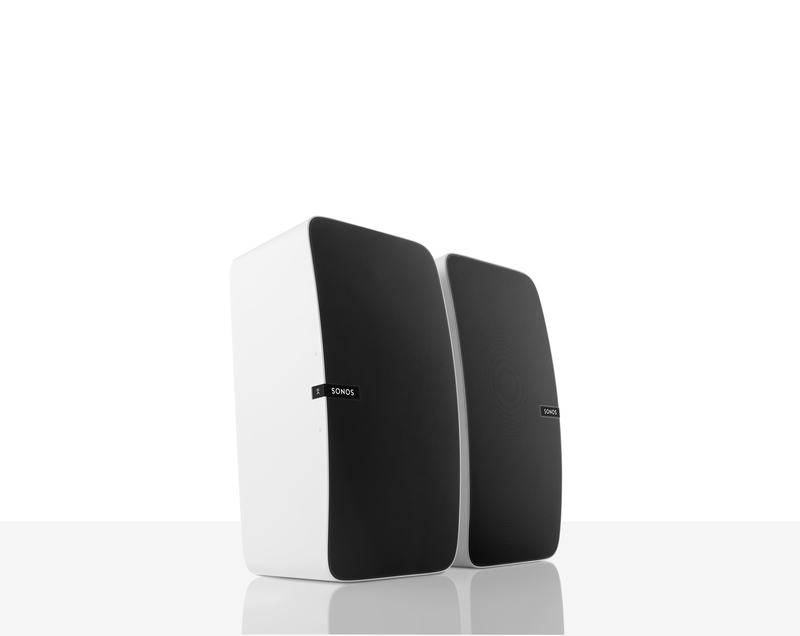 The updated speaker is particularly interesting because it can be used in three orientations. 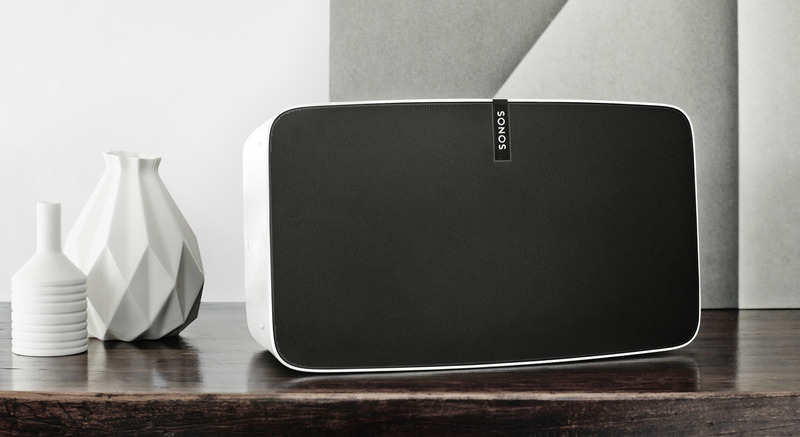 It can lie horizontally, stand on its end or be paired horizontally to create stereo audio — Sonos’ team told me that ensuring it works consistently in all three was something of a challenge that it spent a lot of time on. To pair the new Play:5, there’s a sync button nestled in the back of the speaker, next to the line-in port which Sonos opted to keep around. The sync button will be standard fare for future hardware, so there’ll be no more awkward pressing of the play and volume buttons to try and connect. 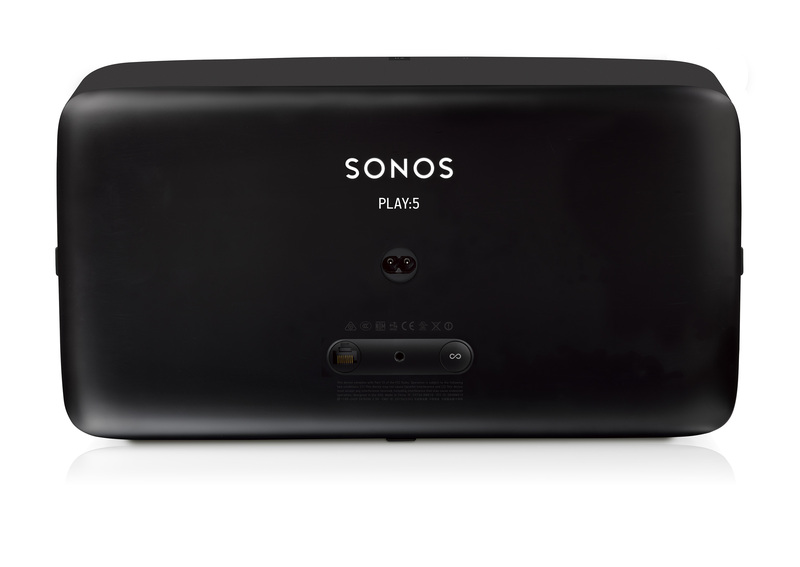 Sonos also developed a new software feature called TruePlay that automatically accounts for the acoustics of your room and adjusts the speaker’s EQ settings for best sound. I’ve got the first generation Play:5 and this new version’s sound is a stark difference from the old: it’s crisper, offers an insane amount of bass and can be turned up to wall-shakingly loud volumes. At the demonstration in Amsterdam, it was unbelievable how loud the speakers could go without distortion — enough to annoy even your most distant neighbors. 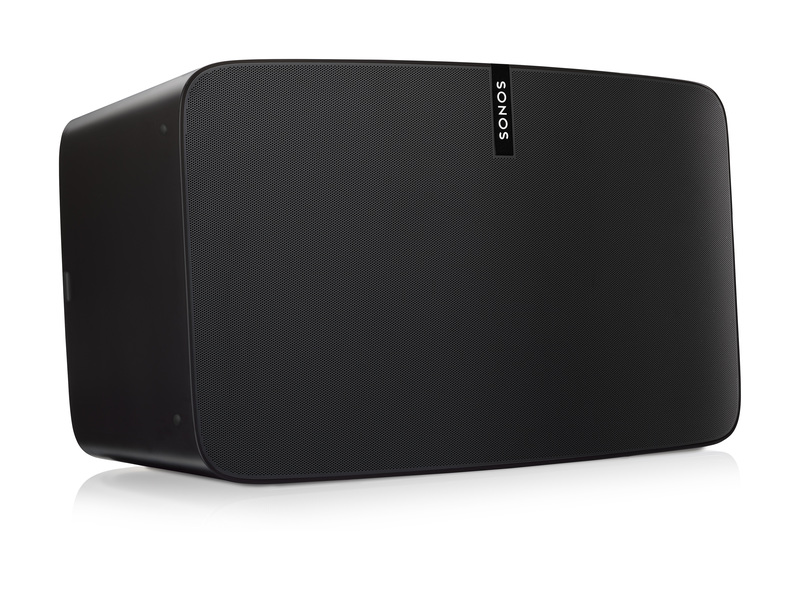 Design-wise it’s a huge leap forward from the original Play:5, which was Sonos’ first ever speaker. It looks even better in person, and now I’ve got to find a reason to buy another speaker. 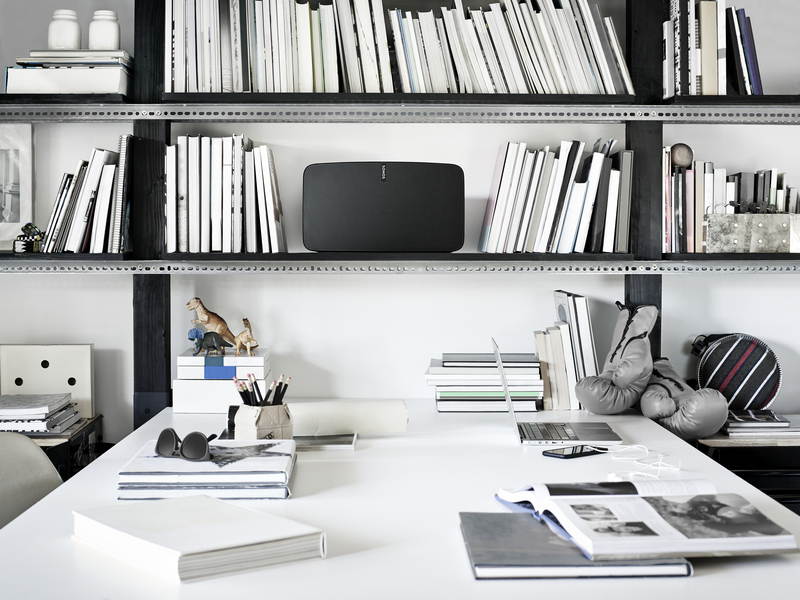 The second-generation Play:5 will be available in matte black or matte white. 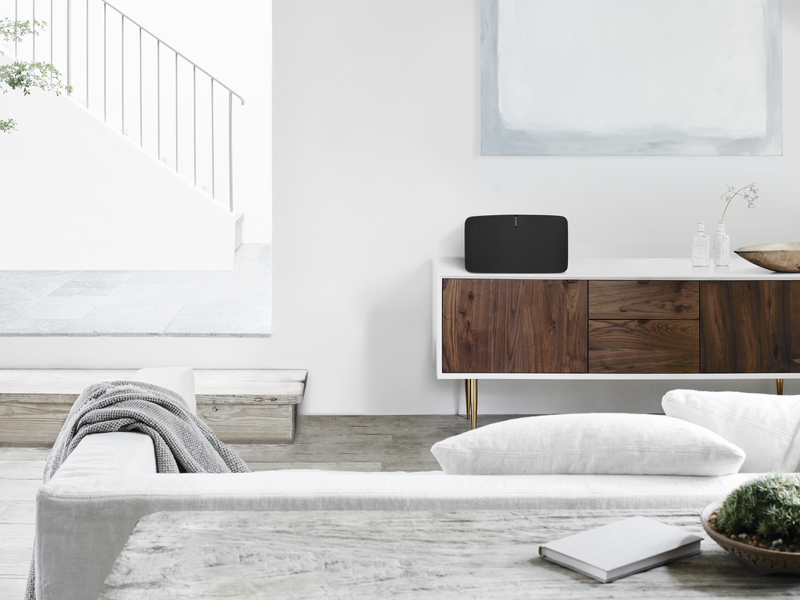 It’ll retail for $499 USD, $549 CAD, $749 AUS, €579 and £429 when it becomes available later this year — Sonos didn’t give a specific date for when you’ll be able to purchase it. For now, enjoy this gratuitious gallery of the new Play:5.